Microsoft yesterday claimed its own tests show that Edge, the default in Windows 10, used 27% less power than the No. 1 browser, Chrome, and 35% less than the slowly-sliding-into-obscurity Firefox. The Redmond, Wash. company's Edge-eats-less campaign may have been motivated by Edge's poor performance in the marketplace, where it has been adopted by less than 30% of the Windows 10 population. In a pair of blog posts, a director of Edge's platform team and an Edge program manager touted the results of Microsoft's in-labs tests. Using its own Surface Book, Microsoft ran a suite of actions -- opening sites, scrolling, playing videos -- using Edge, Google's Chrome, Mozilla's Firefox and Opera Software's Opera -- as it measured power consumption in milliwatts (one-thousandth of a watt). Microsoft's results: Edge took first prize with the lowest power consumption, Chrome came in second, Opera third and Firefox last. Microsoft also contended that its telemetry -- which is extensive from Windows 10 machines -- supported its lab tests. "To measure Windows efficiency and identify opportunities, we measure aggregated telemetry from millions of Windows 10 devices around the world," wrote Jason Weber, director of Edge's web platform. "The billions of data points from these devices are consistent with the lab results." Those telemetric measurements rely on the Energy Estimation Engine (E3) service that's tucked into Windows 10, and for best results, requires specialized silicon inside the device. Microsoft called out a Maxim Integrated current and voltage monitor with the mouthful-of-a-name "SMBus 4-Channel Wide Dynamic Range Power Accumulator," which the Surface Book includes. Brandon Heenan, the Edge program manager who authored the second of Monday's two blogs, acknowledged that estimating power consumption -- as does E3 -- provided accuracy rates of about 85%, compared to a 98% accuracy rate from systems equipped with current and voltage monitors, like the Surface. Few PCs have such a chip: According to Jorge Novillo, a Microsoft software engineer, 99% of current devices lack current and voltage monitors. The combination of telemetry and E3 results showed that Edge consumed 35% less power than Chrome, but just 6% less than Firefox, buttressing Microsoft's in-lab conclusion that Edge bested Chrome, but at odds with the lab test comparison between Edge and Firefox. Microsoft's barnstorming for Edge's power performance may have been prompted by the low adoption rate of the browser among Windows 10 users, the realization that the day comparing browsers based strictly on speed are over, or a combination of the two. Redmond has reason for concern. 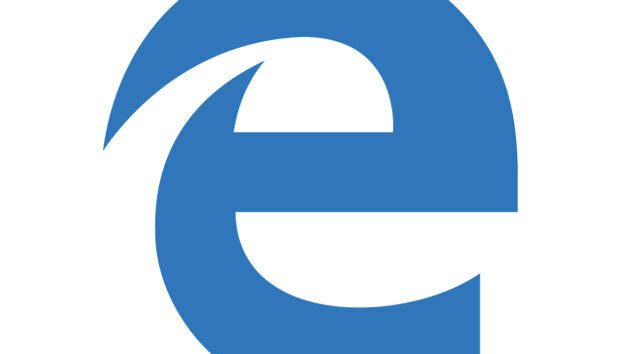 Edge's showing in its first 10 months has been less than stellar as the browser has not been able to grow its share as Windows 10's use has increased. In May, Edge was used by 21% -- off almost a percentage point from the month before -- of those running Windows 10, according to the Digital Analytics Program (DAP), which tallies visits to more than 4,000 websites maintained by U.S. government agencies. All three metrics sources that Computerworld regularly tracks portrayed a decline in Edge's adoption since September 2015. Irish vendor StatCounter, for instance, pegged Edge's U.S. share of Windows 10 at 17% for May, down from 18% last year. Worldwide, Edge was also in decline. U.S.-based Net Applications, for example, tapped Edge's global share of Windows 10 at 29% for May, down a point from the three months prior, and off almost 8 points from September. And StatCounter's global usage share for Edge as a fraction of Windows 10 was 12.5% in May, a record low. As Windows 10's adoption has increased, Edge's has not kept pace: Three different analytics vendors have tracked an erosion in Edge's share of the Windows 10 universe.